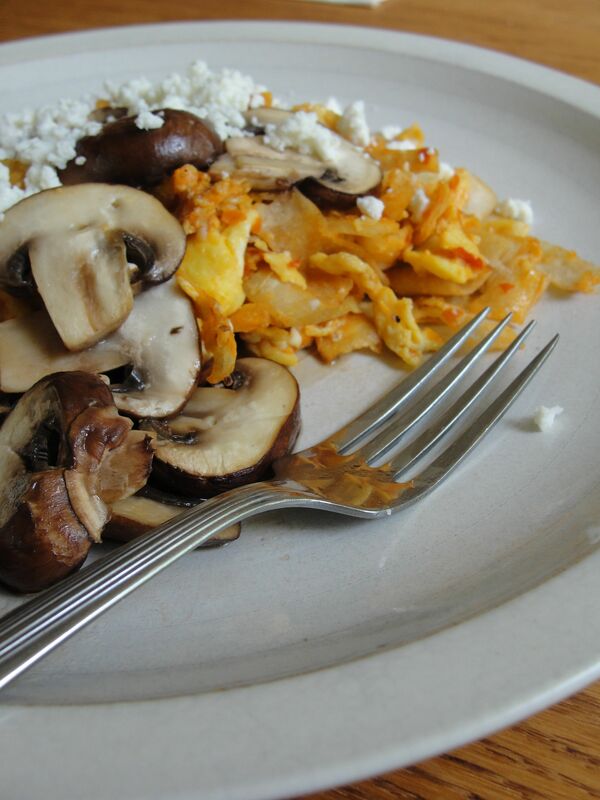 Here’s a typical sort of quick breakfast that I make… especially since plain scrambled egg is *boring*. A great way to add taste and texture to boring old scrambled egg! I really like. For some reason I really want to make this right now. I tried to press the like button twice but it wouldn’t let me. Hey what’s kyopoolu sauce? 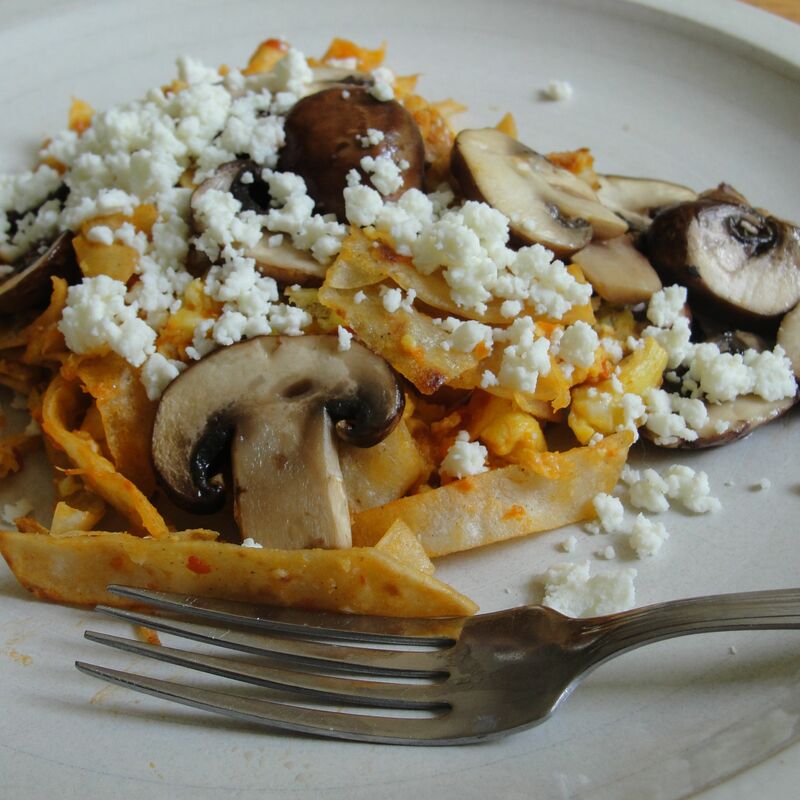 Did you use Cotija cheese or feta? Okay, my Bosnian clients love making that with roasted red peppers. I have a taste profile now. The queso fresco looks fantastic. Also, the one they sell at Trader Joe’s is authentic – from Bulgaria! Sounds like a great breakfast – and reminds me of the essence of what I had in Mexico!